This guide covers the city of Aberdeen and the surrounding coast and countryside. Most of the walks are fairly gentle, though there are some fine hill walks on Bennachie. Walks range from 0.5 miles to 13 miles (1-21km). 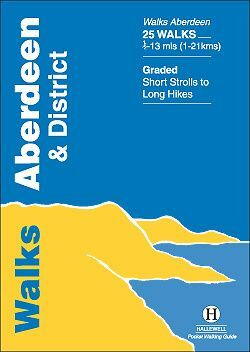 Routes include: Old Aberdeen, Banchory to Crathes, Dunnottar Castle and Bennachie: Mither Tap.